Frank and I travelled to Durham to attend the Bako Northern & Scotland annual supplier Trade show. As in previous years Bako put on the usual selection of entertainment and refreshment for attending children allowing parents to more effectivly browse the supplier displays. 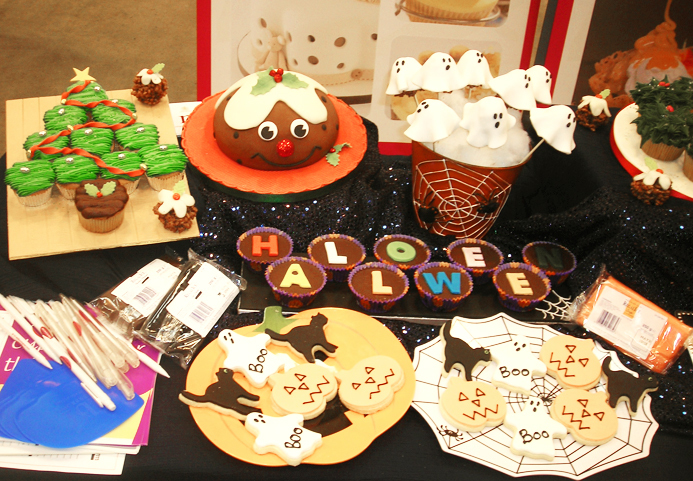 A Halloween/Christmas theme went down well with some suppliers displaying some creative displays. Celebrity Chef, Yorkshire Chef of the Year 2010, Thierry Dumouchel demonstrated typical Gallic charm while he put on two fascinating chocolate displays. We had a fantastic day and we look forward to attending next years’ show with some more Northern hospitality. 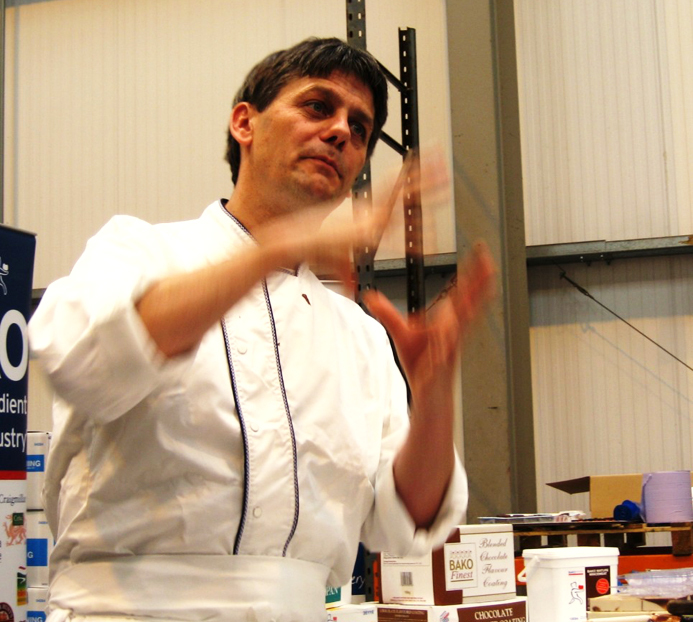 Yorkshire Chef of the Year 2010, Thierry Dumouchel.